What to do something different with your life? Or just want to make a difference in a childrens life? What about volunteering with children with disabilties in Uganda? Can you give one week to one year, to help children with disabilties who have been margalinsed? We are looking for individuals (qualified and aspiring to qualify or not qualified practicum students, gap year students). All volunteers will assist in Clinics; drop INS, in schools and work alongside our team, help in our clinics in the area of basic first aid and in the area of assisting with our children with epilepsy, bed sore care and in the area of nutrition and many more. Our heart is to see that children who have been having difficulty with feeding are able to come to a new level of healing under the care of the team and the parents are able to love and accept their children in a unique way when they no longer have such severe feeding difficulties. Occupational therapists/ physiotherapists – who works alongside Occupational therapist in the area of assessing our children, in the area of writing project plans and training parents on how to work with their children. 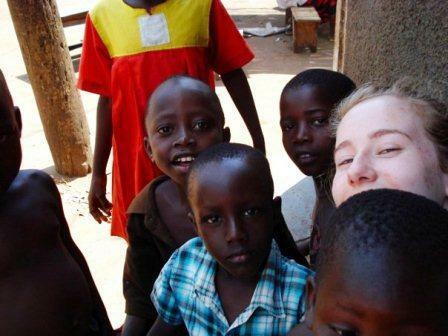 Speech therapist- within Uganda there is a shortage of speech therapists; our children are in need of the attention speech therapist for support in the area of swallowing and chewing and with speech difficulties. The role of a speech therapist would be to train our staff and parents in developmental exercises and teaching our OT on how to asses and writing of programs for these children. We have seen to many children die due eating difficulties we desperately want to see this change. Nurses – works alongside us and with our children in the area of basic medical needs and in the area of nutritional advice to parents and working alongside our malnourished children. We also need nurses to work alongside our epileptic children. Special needs Teachers and teaching assistants – works alongside our teachers within the schools, special needs teachers will be working alongside our teachers to empower them on new skills on how to work with children with disabilities. General volunteers- works alongside our team in numbers of ways, teaching at the school, running football games for the deaf children, arts and crafts for the children, counting epilepsy pills and many more. Home visiting – From Monday-Wednesday we go out and visit children in the local communities and we do occupational therapy, works with the children in the areas of developmental exercise. Activities of daily living –From Monday- Thursday, we work with the more able bodied children to help them learn how to live an active life as part of the family through teaching them skills of washing their own clothes, peeling of matooke (food) and many more. Drop in day – Every Thursday we run a drop in clinic where parents come to the office and asses physiotherapy, they are taught how to carry out the exercise. By bringing the parents together, they learn more and are able to support one another. Schools work- We currently work alongside two schools (Mount Zion and Kisega primary school). We are currently sponsoring 20 children at this school (mt Zion); our heart is to see that these children learn vocational skills. We would love people to run sports and arts and crafts activities. The children would love to just spend time playing with you. Clinics – twice a month we hold clinics, one is in Wabwoko Village where we receive over 150 patients. In addition, another clinic is next to our local office. Here we do assessment of children with disabilities, advising the patients on the right exercise and giving out of epilepsy medication. There is room for teaching health skills and basic knowledge skills of life. The cost of volunteering with us is 16$ per day if under one month ($480 for a month) and 450$ a month if over one month stay, payments are done through www.soh.givengain.org one week before you come to help us with your preparations. Airport pick up fee $150. Transport around the community when working. Most organisations charge organisation fee but spring of hope encourages volunteers to decide for themselves whether to help financially, fundraising or in any way. The organisation's funding is entirely based on friends and former volunteers who have been on ground. We value much the services rendered by individuals to SoHUG.